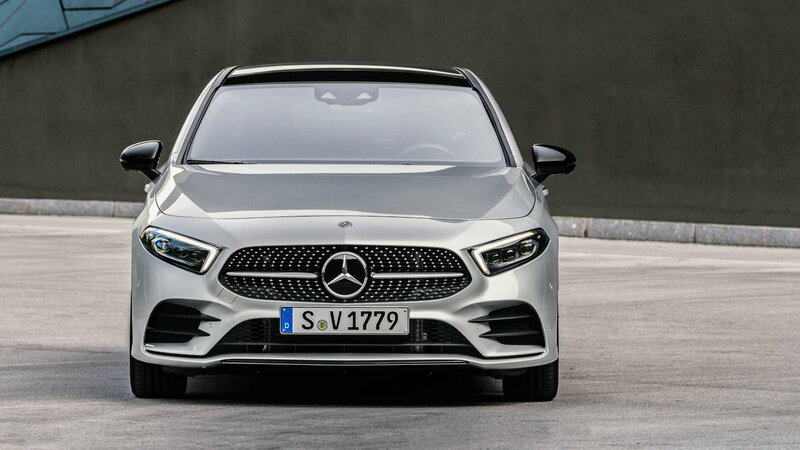 Slideshow: The new 2019 Mercedes-Benz A-Class Sedan has been revealed and it is officially the most aerodynamic production car on the market. 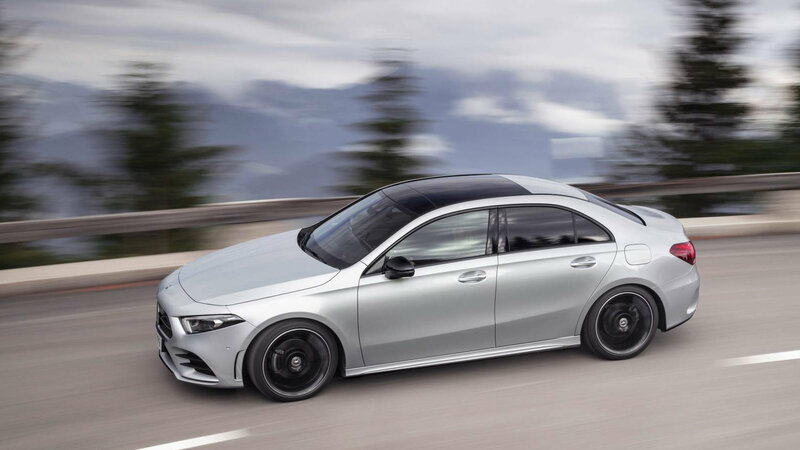 The newest subcompact Sedan from Mercedes-Benz takes the throne as the world's most aerodynamic production car, following in the footsteps of the outgoing CLA-Class. Mercedes has achieved a drag coefficient of 0.22 and a frontal area of fewer than 24 square feet with this new model. 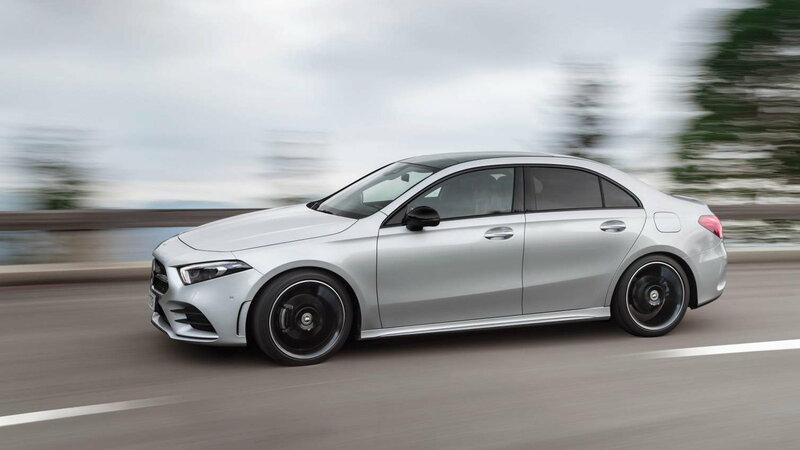 The new A-Class tops the CLA in many ways. Most significantly in Mercedes' eyes, in the rear headroom department. 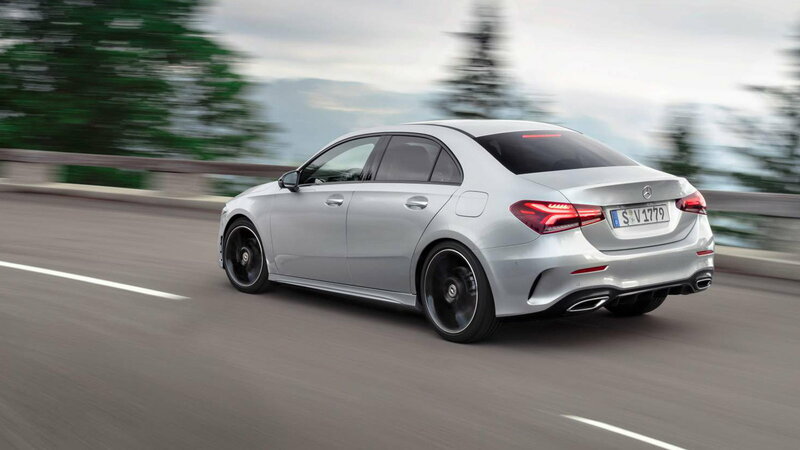 The sedan has the same wheelbase as the hatchback model but compared to the CLA, the wheelbase is 30mm longer. While it is shorter in overall length than the CLA due to shorter overhangs, it packs more space vertically. All told, the new A-Class is advertised as the category leader in spaciousness. 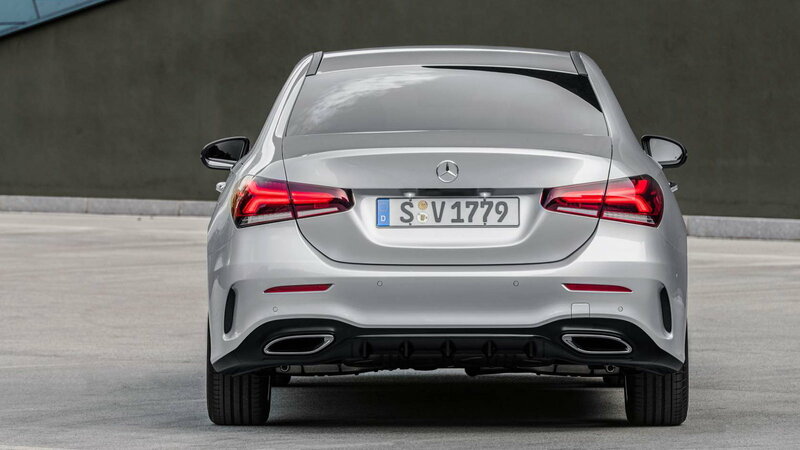 >>Join the conversation about the new A-Class sedan right here in MBWorld.org. For the European market, Mercedes will have two engine options available with the A-Class sedan. The first one is a 1.3-Liter 4-cylinder turbo gas engine and a 1.5-Liter diesel engine, both of which will be mated with the 7G-DCT dual-clutch automatic transmission. The gasoline engine will produce 163 HP and 184 lb-ft. The Diesel engine will be capable of making 116 HP, and 192 lb-ft of torque. Stateside, the A-Class sedan will be offered with a 2.0-Liter 4-cylinder turbo engine producing 188 HP, and 221 lb-ft of torque. An AWD version will also be available under the 4MATIC badge. The transmission on offer is a 7-speed dual-clutch. 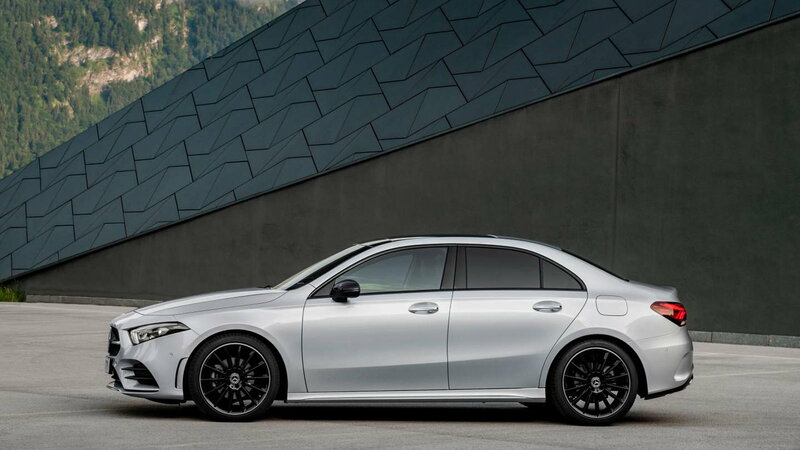 While there are differences in styling as well as the power plant, aside from the obvious fact of a trunk being present as opposed to a hatchback, the A-Class sedan shares the architecture of the hatchback for the most part. The front suspension is made up of a McPherson structure, while in the rear, the A-Class is equipped with a torsion beam. A range of 16 to 19 inches is available for your choice of wheel sizes. The user interface offered with the A-Class is the standard MBUX infotainment system. The driving assist capabilities are carried over from the S-Class for this new model, and it includes Active Brake Assist and Active Lane Keeping Assist. 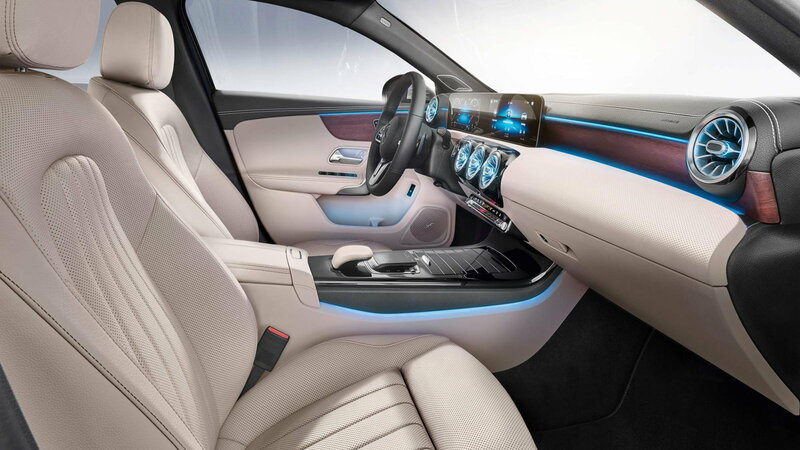 Plenty of options will be available as well, among those worth noting are available double 10.25-inch displays, Keyless-Go Convenience Package, and LED headlights. Adopted from the autonomous capacities of the S-Class, the Intelligent Drive semi-autonomous driving system will help aid safety in the A-Class. Also included are Active Lane Change Assist, Active Distance Assist Distronic, Active Emergency Stop Assist, as well as Pre-Safe Plus. As far as aesthetic options go, there will be a whole host of customization options available for buyers of the new A-Class. Customers can choose from the Style, Progressive, AMG Line, and Night packages. Production will begin next year in Germany for the European market and in Mexico for the Americas. The official debut will take place in Paris this October.